As fulfilled and engaged as your employees may be with their jobs, if they have any issues with their paychecks, it won’t take long for them to become frustrated. 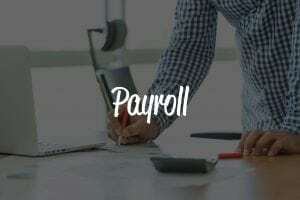 Some companies have dedicated payroll departments and others find that outsourcing payroll is a process that is easily put in the hands of a company that specializes in payroll. How do you know which option is right for you? Here are some things to consider. One of the biggest concerns when it comes to answering this question is how many employees your organization has on staff. However, the answer isn’t cut and dry. Small companies like to use payroll services so they don’t need to employee a dedicated payroll department. Larger companies like to use them to maintain consistency. Do you need more than just payroll? There are other reasons to consider an outside vendor, especially if your small company also wants insurance or other services. A Professional Employer Organization or PEO may be a good solution because it can essentially outsource your entire HR function. Are your employees exempt or nonexempt? Exempt employees are traditionally paid an annual salary. Nonexempt are usually hourly employees who receive hourly pay and qualify for overtime. The more complicated the payroll process, the more important it might be to outsource it. Another thing to consider is how often you pay your employees. Salaried employees are frequently paid twice a month. Hourly employees might be paid every two weeks or every week. This is something a payroll service can work out with you to be the most effective for your type of business. Do you have more questions about outsourced payroll? Please call or email us at payrollmgt.com, We look forward to talking with you.